Any business owner should know that it is not a good idea to make customers wait. As I shared during an interview with Forbes, we at Day Translations improved our customer service by shortening our customer response time, because our customers’ needs are always urgent. Our email response time is 10 minutes while our website’s instant chat feature allows us to provide answers to customers’ questions in 30 seconds. Customers come in all shapes and sizes and they have different personalities and temperaments, as well as different needs. Thus, it cannot be helped that there will always be difficult customers. If you offer business services like we do, you’ll realize that you cannot have a standard form of customer service, a sort of one-size-fits-all type of service. While you may have a regular customer service system, you still need to be proactive in responding to your customer’s needs in the manner he or she expects. Customer service is essential to any business, big or small. They are your company’s representatives, the company’s face or the voice that customers get to know, whether they are looking for some answers, are praising your company or lodging a complaint. Business executives who have great insight into customer service have varied best practices that help them provide customer satisfaction and that’s what we’re going to discuss here. Customer service is not about knowing how to answer the phone and providing the standard (scripted) answers. It is about hiring a team that will imbibe a people-first culture from the start. Find the right people with good attitude and have the right knowledge and preparation to deal with customers. Your customer service team should be willing to give a more personal touch when talking with customers. When you are in the business services industry, you have to realize that customer service is not confined to staff who answer the customer hotline. Customer service is an entire package and should be your company’s basic guiding principle. Providing great customer experience from the get-go will leave them with a good impression, which usually is what attracts and keeps your customers. Customers are very picky and due to competition, it is easy for them to switch service provider once they had a bad experience with one company. Industry competition is always fierce, so you have to utilize your customer service efficiently. Being proactive is a very effective approach. Anticipate customers’ needs. 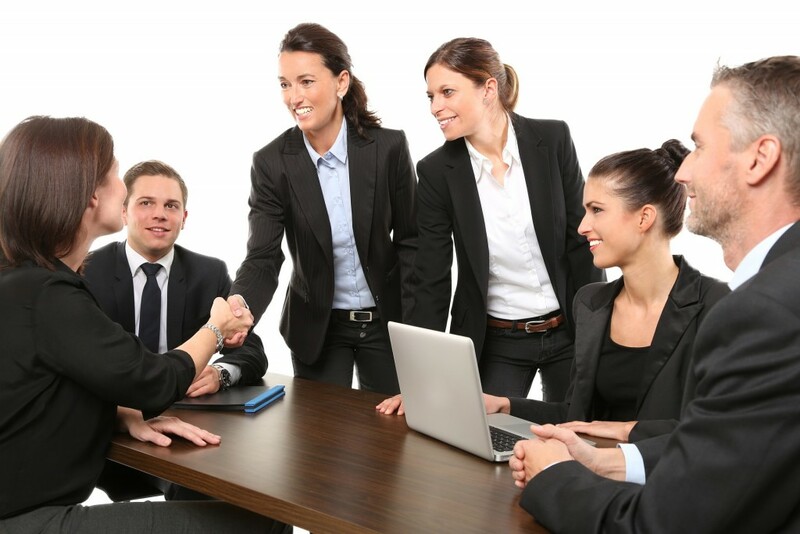 Offer them the right response to their queries and deal with them professionally and courteously. Do not wait for them to contact your customer service department because they have to complain. What’s better is to give them a reason to get in touch with you to request for new solutions, repeat business, give you referrals or compliment your products and services. This may go against the norm that you should put your customers first. However, by treating your staff members as customers, then you are satisfying them, making them feel comfortable and keeping them happy. When you have happy employees, they are motivated to work and serve customers wholeheartedly. They know that they are appreciated and valued by management and they will be inspired to do the same to your clients. For us in the language services industry, we deal with languages all the time. But with customer service, language takes on a different meaning. This means talking to customers respectfully. The words “thank you” and “please” should be used often. Another thing is to localize. If you are maintaining branches in other states or countries, think locally. Your customer service crew should use local jargon when necessary, because just like translation, people want to talk to people who can understand them. Customers today are often in a hurry, therefore speedy service is important. With that said, you should not forget about quality. Provide a service where your customers will always equate speed with quality. Of course it is not applicable to all businesses, such as fine dining, but you should get the picture. If your customers can get the service they need faster, they will love you. It’s one way to create brand loyalty. Customers today love to share information and experiences and they have various avenues to do that – from word of mouth, to WhatsApp to posts on social media sites. These best practices are just a guide. Study consumer demographics but be sure to treat customers as individuals, not statistical data. Providing them with the best customer experience possible will result in free advertising and marketing for you. If they are satisfied and enjoyed your customer service, you can reap great rewards.